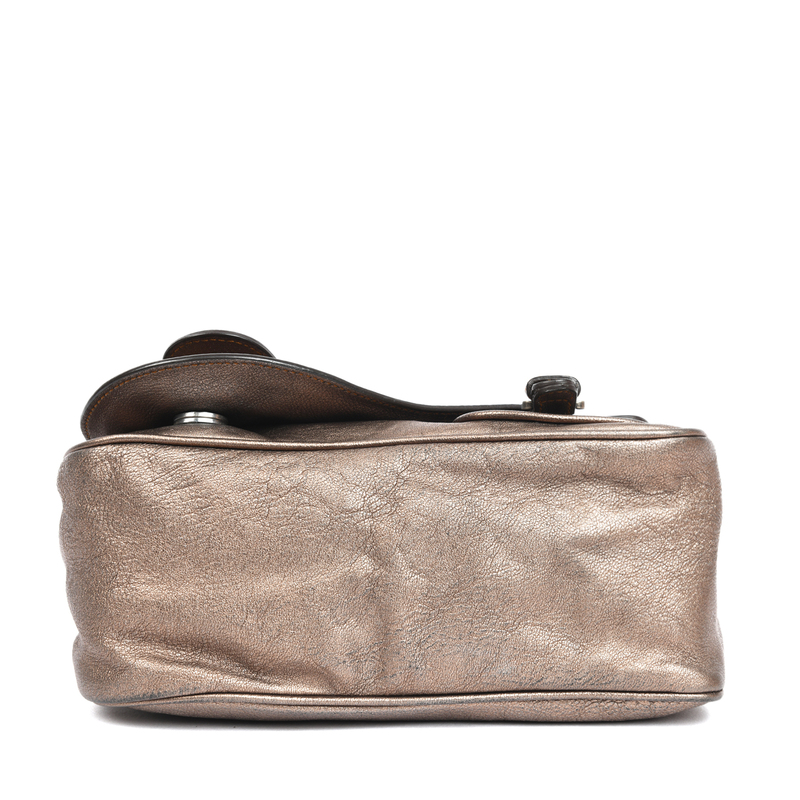 Categories: Bags, Shoulder Bag, WOMEN. 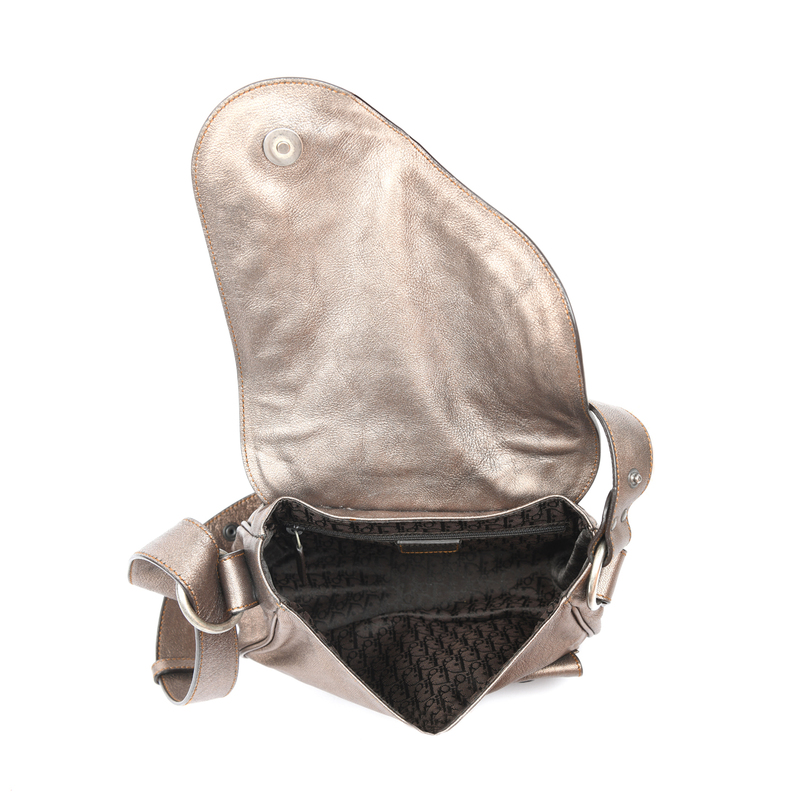 The Guacho is a beloved style of Dior lovers everywhere. 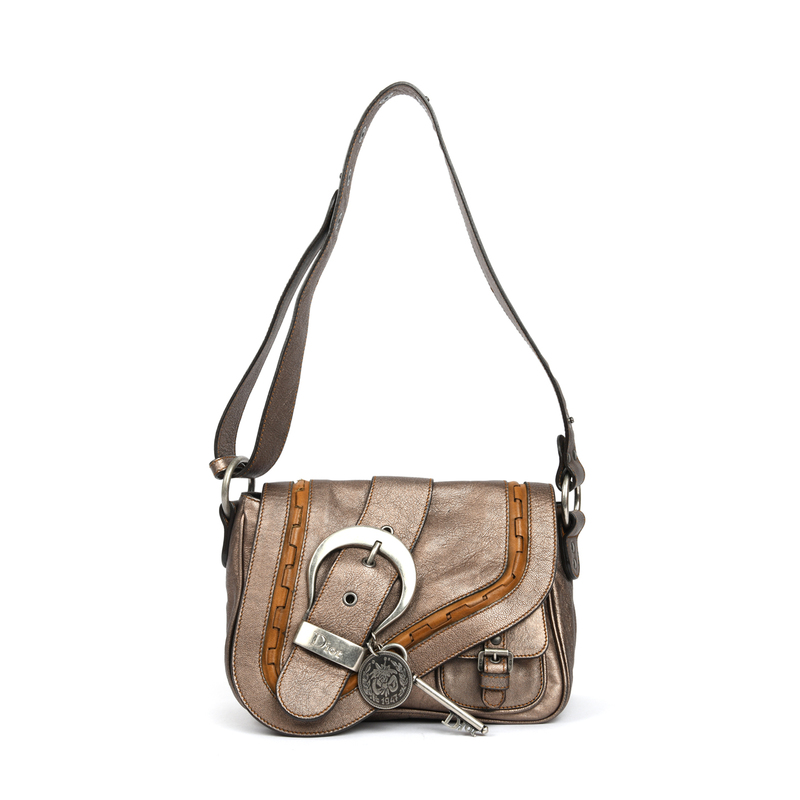 The bag features a front flap embellished with an antiqued silver-tone western-style buckle with key. 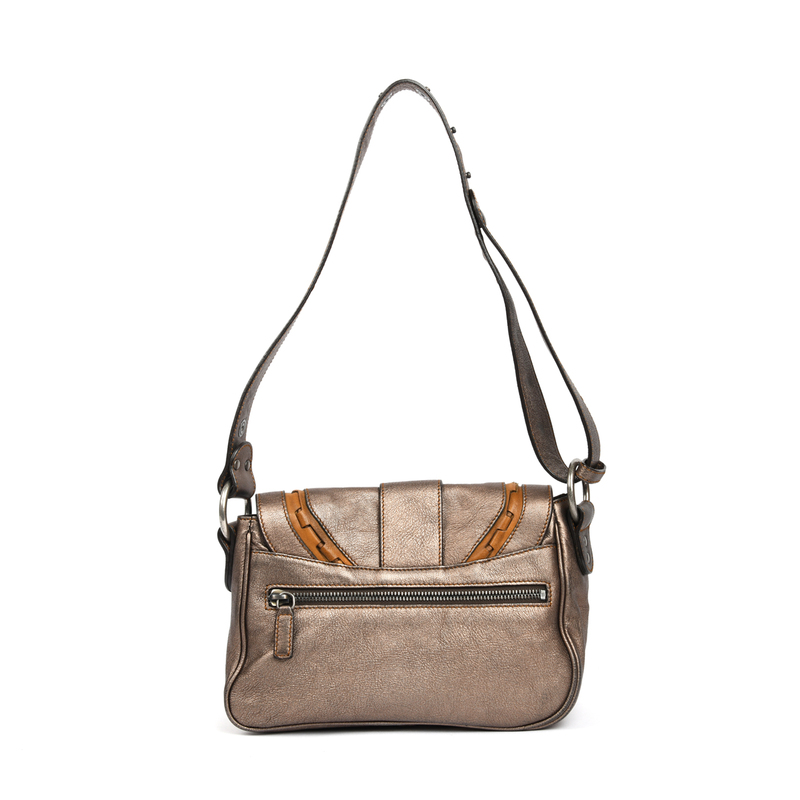 Meanwhile, a caramel woven leather trim and small side pocket complete the look of this sophisticated and stylish piece. 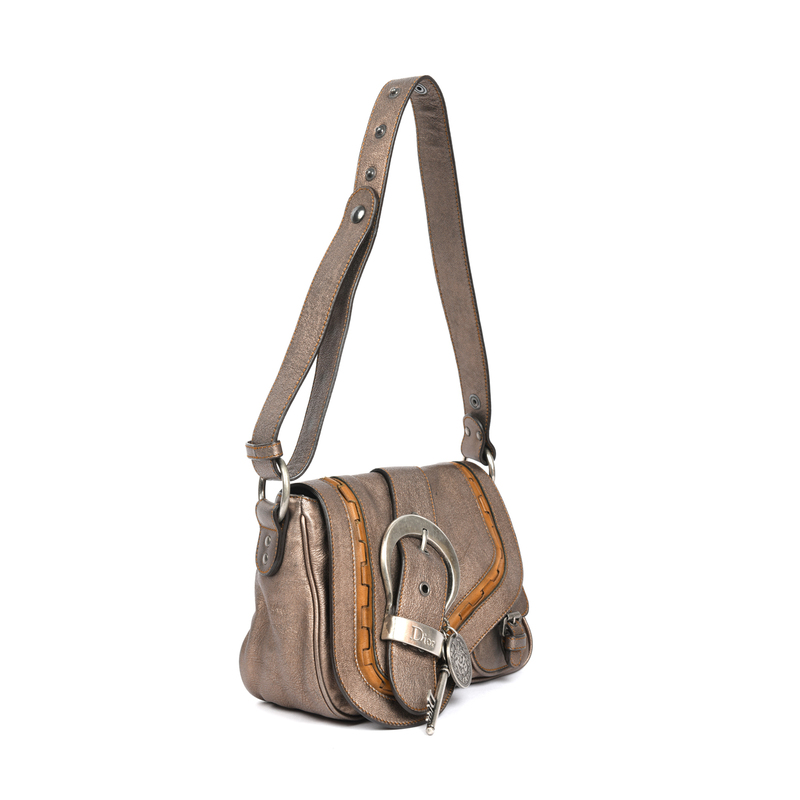 The flap top opens to a chocolate Diorissimo woven lining with a single zip pocket at interior wall. 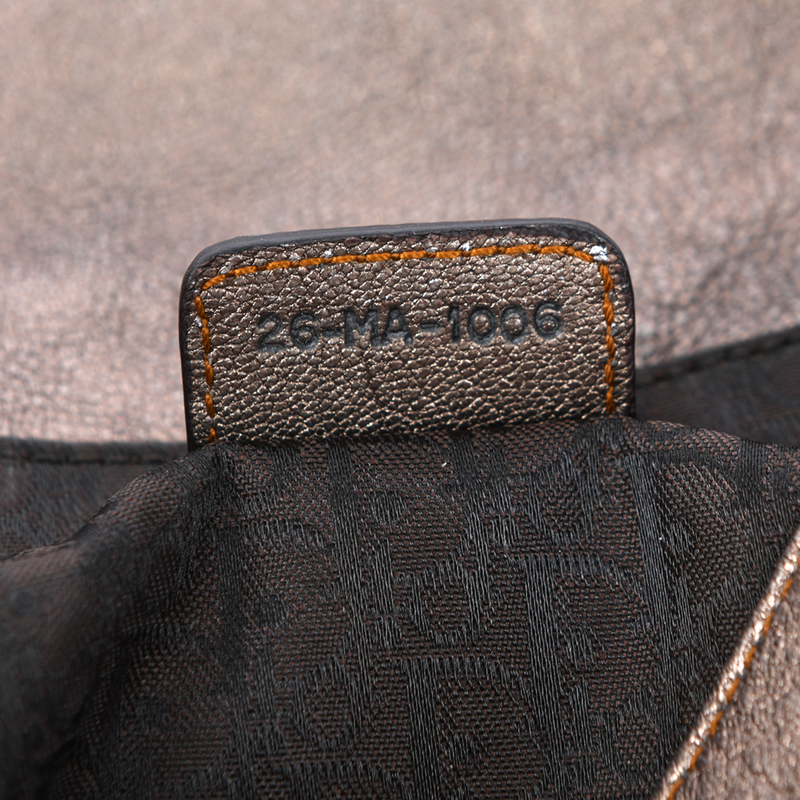 Exterior: Due to the vintage nature of this product, there are few scuff marks on exterior leather. 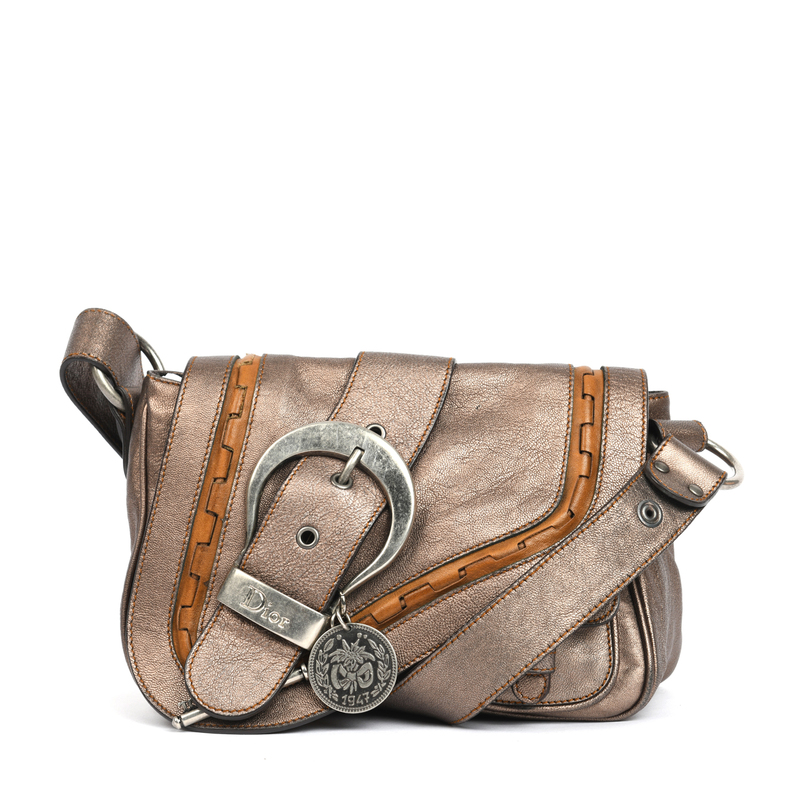 The caramel leather trim has darkened. Hardware: The aged silver hardware has minor scratches. 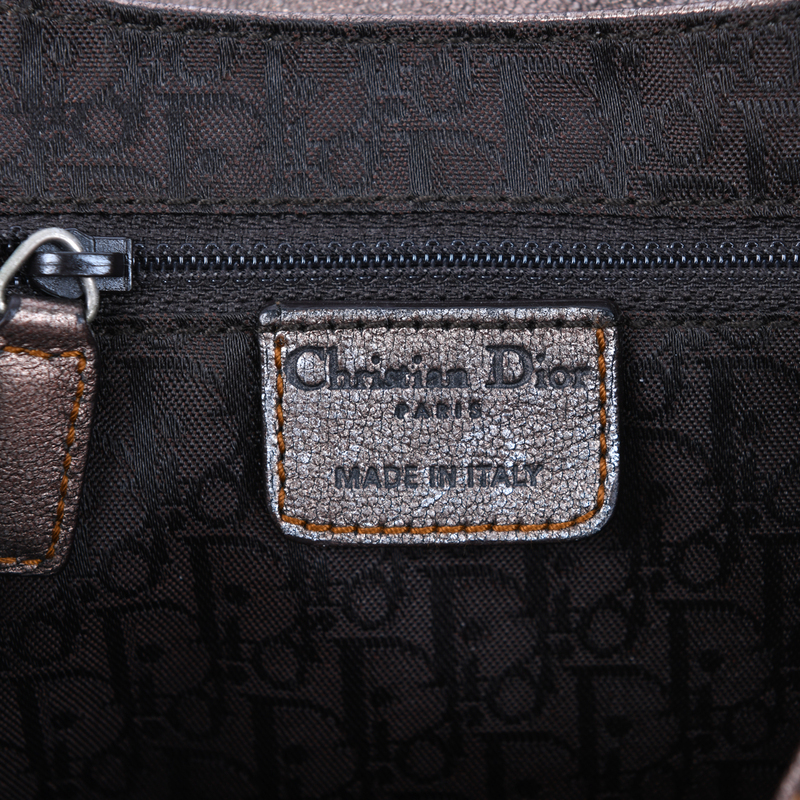 LabelCentric is not affiliated with Christian Dior. 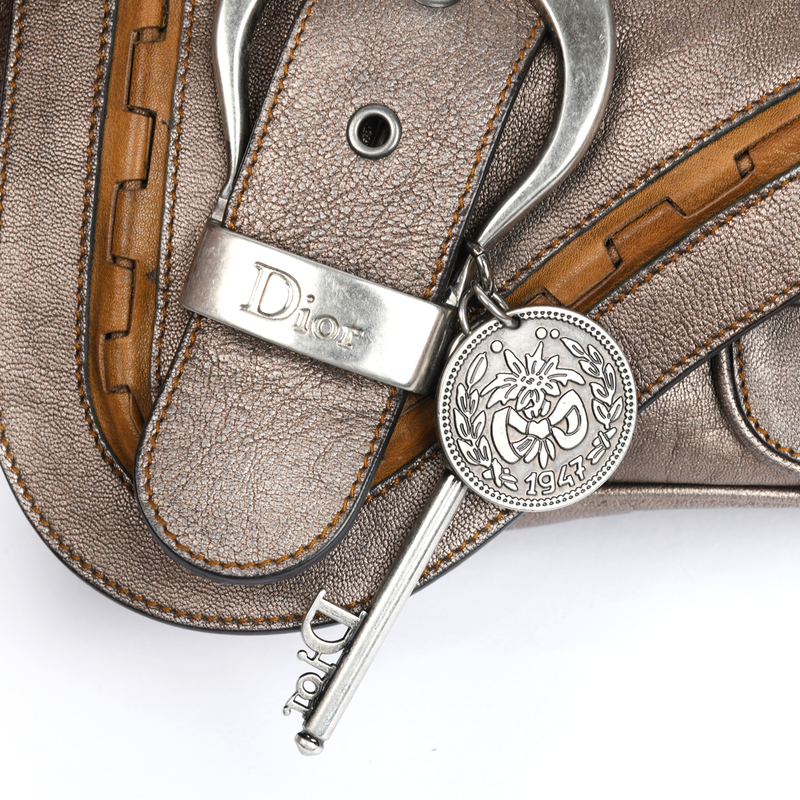 We guarantee this Christian Dior item to be authentic ( find out how ). Christian Dior® is a registered trademark of Christian Dior.